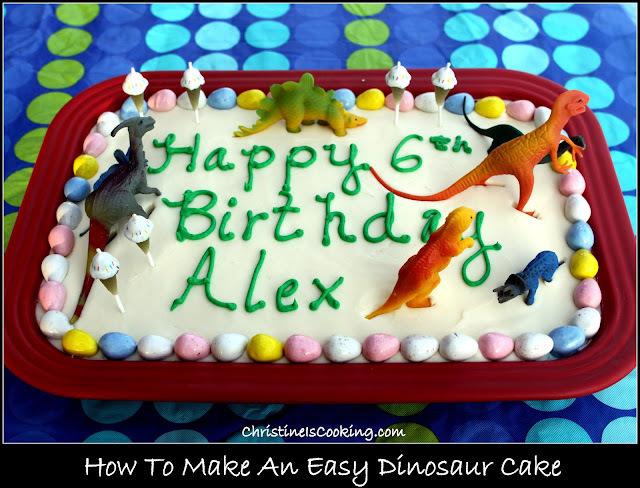 Making your own Dinosaur Cake can be simple, easy and very inexpensive. 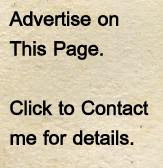 If you are short on time, the easiest way to make a delicious cake is to use a boxed cake, but make homemade frosting. Cake mixes have come a long way and most taste very good. Frosting, however, is something I never skimp on. Homemade frosting is simple to make and is extraordinary tasting compared to canned frosting. Homemade frosting even freezes great. As such, if you know you will be making 2 cakes somewhat close together - you can make a double batch of frosting and freeze it for several months. Bake the cake as indicated on the box. Let the cake fully cool. Frost (reserve enough frosting to make writing frosting with). Add food coloring to the reserved writing frosting and then a bit of extra powdered sugar to slightly stiffen it. This will make writing with the frosting more controlled and steady.